The GT/GALV large capacity galvanised body trailer, with it's removable tailgate, will last for many years free from rust. 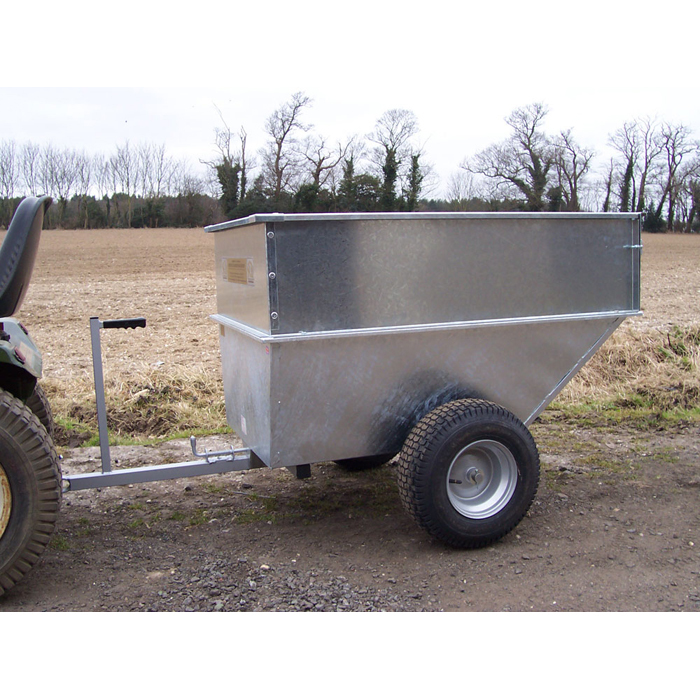 The specifications of this trailer are the same as the GT, but with one important plus feature; the wheels are larger 16/650 x 8 which makes the overall width 41". Cubic Capacity 33 cubic ft. Depth of Body 660mm / 26"
Width of Body 860mm / 34"
Overall Width 1040mm / 41"
Length of Body 1244mm / 49"